Obtaining a mortgage subject to TRID was not the scary beast many professionals in the real estate business feared at the end of 2015. The Consumer Financial Protection Bureau overhauled the way mortgages are processed and disclosed to borrowers as of October 5, 2015, with the introduction of the TILA RESPA Integrated Disclosures or TRID. The fear of this new process caused some real estate agents to claim the acronym TRID stood for: The Reason I Drink. After all, the Truth in Lending Act (TILA), enacted in 1968, and the Real Estate Settlement Procedures Act, enacted in 1974, have been the cornerstone of mortgages for decades, and to change all of those rules was a bit scary. The federal government did away with the HUD-1 and replaced it with the Closing Disclosure (CD), and the Good Faith Estimate (GFE) vanished, too, in favor of the Loan Estimate. The purpose of TRID was to simplify, but it is still somewhat complicated for the average person to understand. Most laypeople did not know how to read a HUD, so it's not surprising that the closing disclosure is also a bit tricky especially when one asks for an explanation of seller credits, very much like seller credits on a HUD, but few understand that calculation. Our loan was delayed due to the mortgage loan officer who conveniently fell back on the warning that our loan would not close due to TRID. We had submitted every single document within hours of the request. The mortgage loan officer had our complete file on December 24th and did not submit the file to underwriting until January 5th. That was the reason for the delay. It was not due to errors on the loan application, credit issues nor insufficient income. The mortgage loan officer simply dropped the ball. Not every mortgage loan officer is a hands-on individual, either. Some rely solely on loan processors and other members of their team to understand TRID and follow its procedures. Our mortgage loan officer in California can answer any question we throw at him, but not so with the Hawaii branch. They are all different. However, our experience in dealing with other mortgage loan officers and TRID has been that mortgages close on time when they are properly managed. The loan estimate is a 3-page document that is designed to set forth the key features, costs, and risks of the mortgage. It is required to be delivered to the borrower within 3 days after receipt of the loan application but no later than 7 days before closing. The loan estimate sets forth the loan terms, mortgage payments, costs at closing and lays out a slew of other costs, many of which cannot change. What's really nice about this document is it shows borrowers an estimated total monthly payment, which includes taxes and insurance, PITI, an important factor that was missing from the former Good Faith Estimate. This document replaces the HUD-1 and Truth in Lending Disclosure, and its purpose is to help a borrower to understand all of the costs associated with a mortgage loan. The basic problem with this disclosure is it contains some fees that are paid by the seller on behalf of the borrower and it's confusing for borrowers because some of these fees are not fees that are directly paid by the borrower. But that's the government for you. As a borrower, you cannot sign loan documents until you have received and signed the Closing Disclosure at least 3 days prior. If there are any changes in your loan during this time period, a new Closing Disclosure may be required, which could extend the closing time period. Say, for example, you conduct a final walkthrough of the property and discover a broken window. If the seller offers money to replace the broken window, that could be cause to generate a new Closing Disclosure, which could then add another 3 days to sign loan documents. The Closing Disclosure is a 5-page form, some of which is very similar to the Loan Estimate and compares the terms of the Loan Estimate with the terms of the Closing Disclosure, side-by-side. Some fees such as those paid to the lender cannot vary at all. Other fees such as recording and certain third-party fees selected by the borrower can change by 10%, and some fees such as impound accounts may exceed the estimate without limitation. 1. Your best insurance is to select a qualified mortgage loan officer who thoroughly understands how TRID works and can explain every step of the process to you, in addition to carefully vetting the title/escrow company. Collaboration between the two is imperative. Loan officers and escrow officers who close a lot of transactions tend to use systems that prevent mistakes or errors. Further, if the MLO starts out whining about TRID, and exploits TRID as a possible excuse, go elsewhere. 3. Decide whether you want to lock your loan. 4. 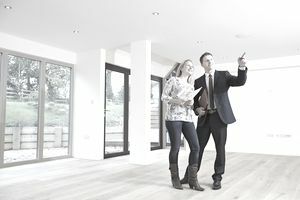 Complete all home inspections and request for repairs early enough in the process that any changes to the purchase contract will not delay your closing. Ask your mortgage loan officer for guidance. 5. While it goes without saying, I will say it anyway: do not make any changes to your financial situation while waiting to close. Do not change your job. Do not buy a car. Do not make any major purchases whatsoever. Do not take on any additional debt. Is a Loan Estimate the Same Thing as a Good Faith Estimate?